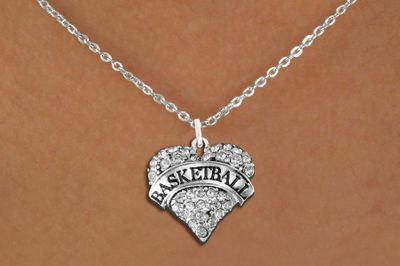 PICTURED ABOVE "SMALL CHAIN NECKLACE"
ead, Nickel & Cadmium Free! 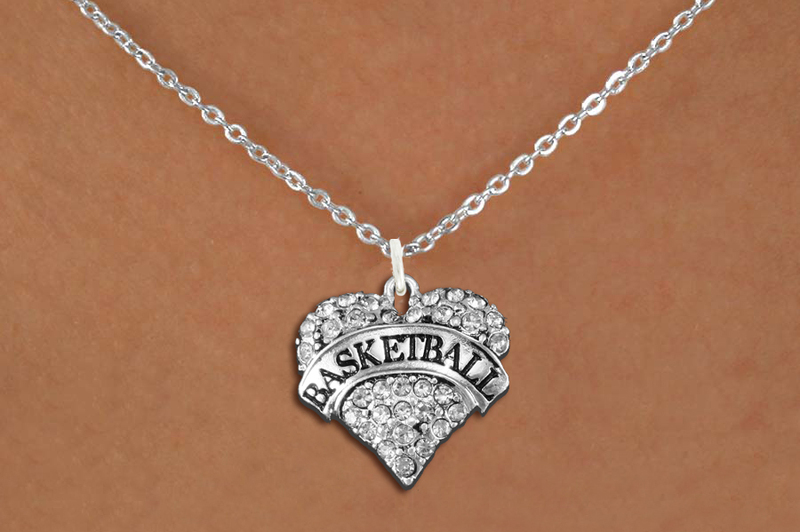 Necklace Suspends A Detailed Antiqued Silver Tone "Basketball" Crystal Heart Charm, That Is Covered In Faceted Clear Crystals With Black Accents On Ball. Comes On A Black Suede Leatherette Necklace.